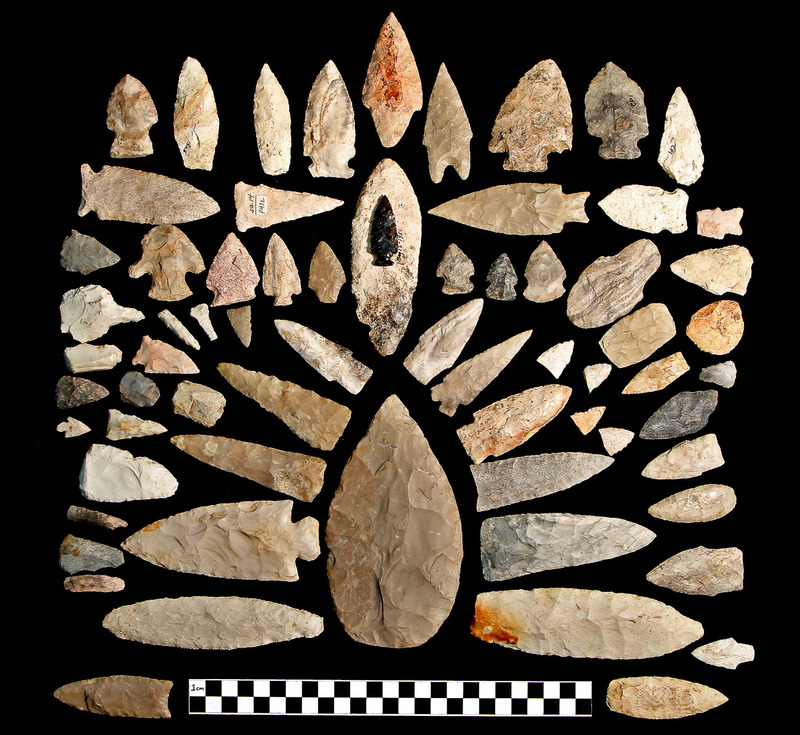 Flakestone Projectile Points & Scrappers; Flint & chert rock; Multiple locations; Prehistoric. 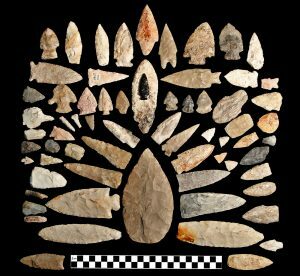 Flakestone tools are produced by striking a flint or glass-type rock and refining the pieces, or flakes; flakestone tools changed significantly over time and aid in identifying cultures. University of Missouri Lubensky Collection MAC1995-0138a.